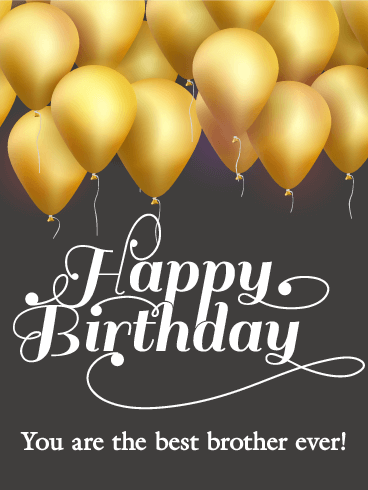 No matter how old or young you are, balloons are the perfect decoration for any birthday party! 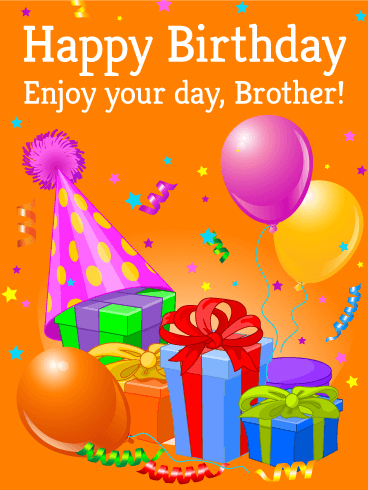 As your brother celebrates the day of his birth, join in the festivities by sending this colorful Happy Birthday card! The bright splatters of color and fun balloons will make this one of the best birthdays ever! 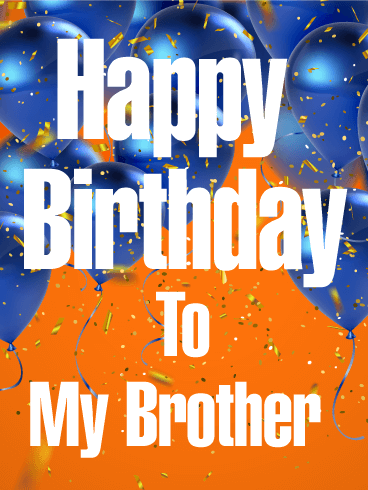 Send this birthday card to wish your brother a "Happy Birthday" today! 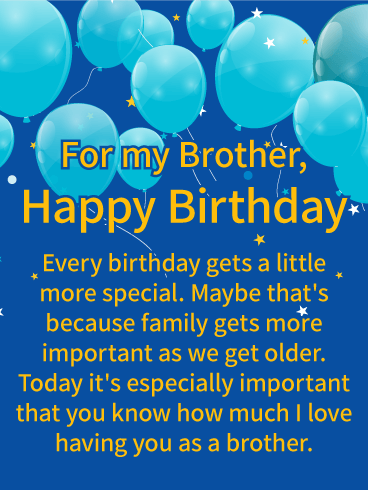 Does your brother love his birthday? Is he always excited to celebrate his special day? 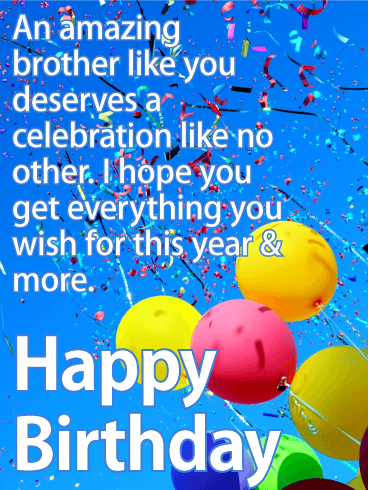 This year, make his birthday even better by sending him a fun-filled birthday card! This Happy Birthday card has all the best parts of the perfect party, with balloons, bright colors, and shining confetti! 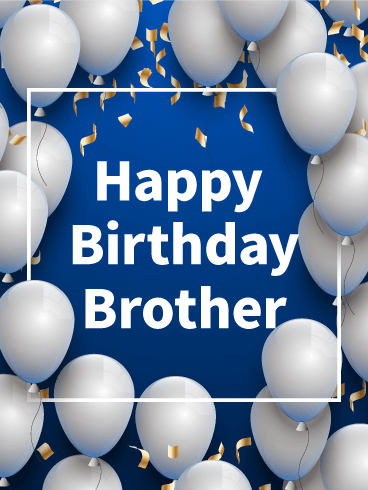 Use this celebration to say "Happy Birthday" to your favorite brother! Party time! 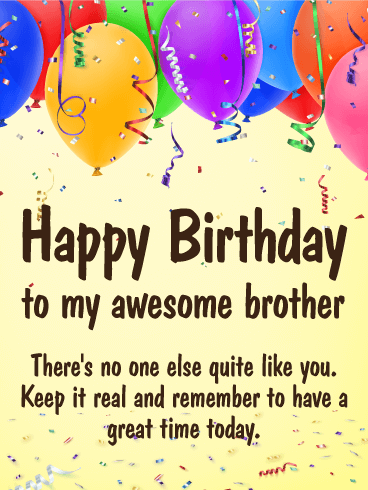 It's almost time for your brother's birthday! 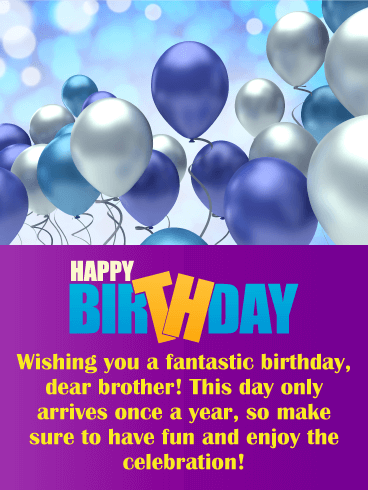 Don't let any more time pass without sending an exciting Happy Birthday card to celebrate this special day! 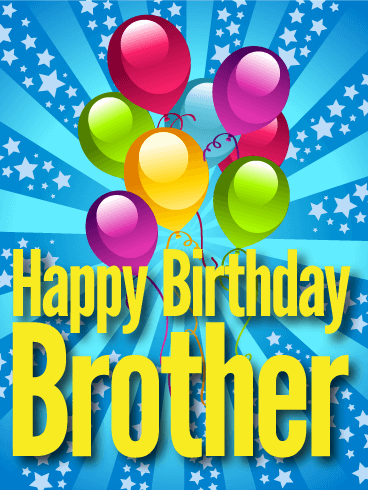 This dazzling card uses bright colors, balloons, and confetti to start your brother's birthday celebrations off right. 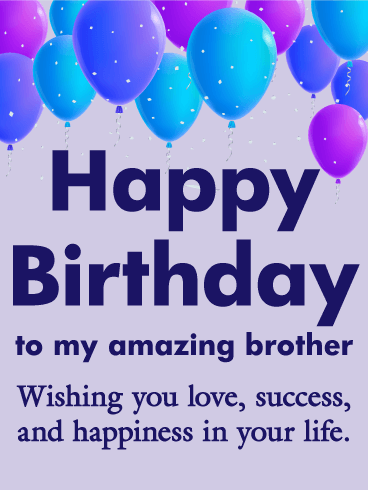 Send your heartfelt wishes for love, success, happiness, and a great birthday with this fun birthday card! 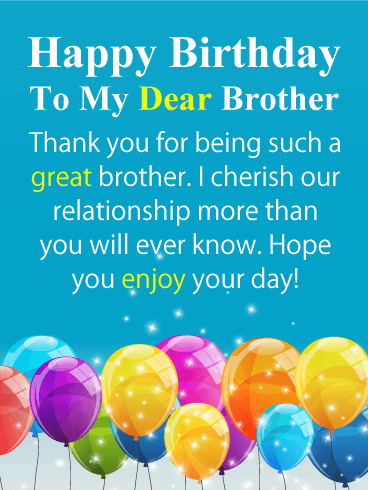 Do you have a special brother? Is it time for his birthday? 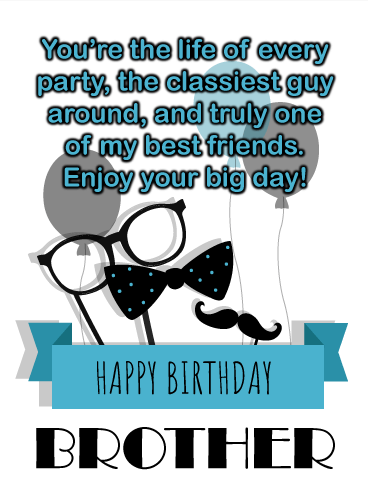 Then make his day extra special by sending him a party in a birthday card! 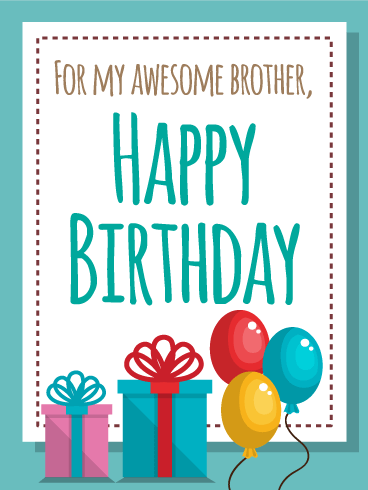 This Happy Birthday card has all the best parts of a great birthday party- gifts, decorations, and colorful balloons! 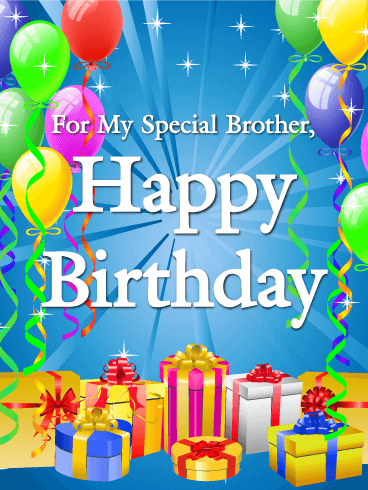 Celebrate your special brother's special day by sending him this card to say "Happy Birthday" today! 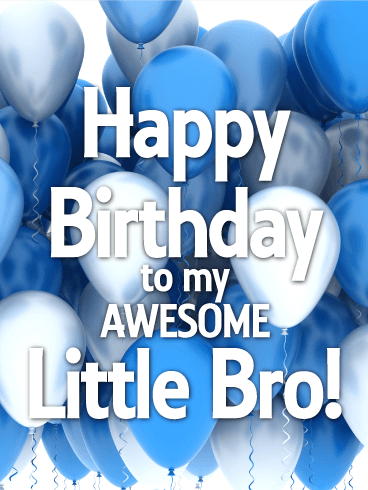 Do you want your brother to have the best birthday ever? 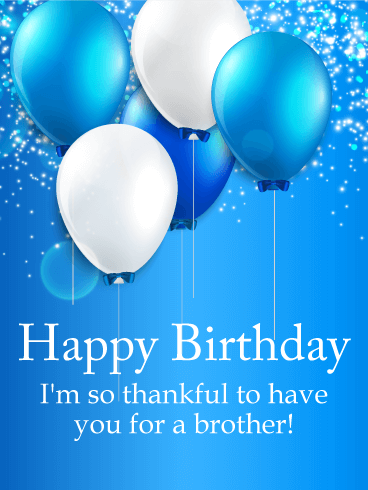 Then send him the best Happy Birthday card you can find! 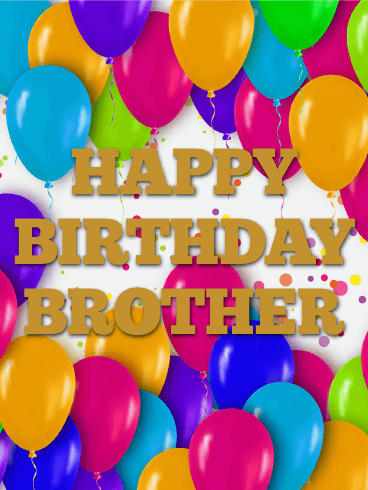 The pile of brightly colored presents, balloons, polka-dotted party hat, and confetti will get your brother excited for his party and other birthday celebrations! 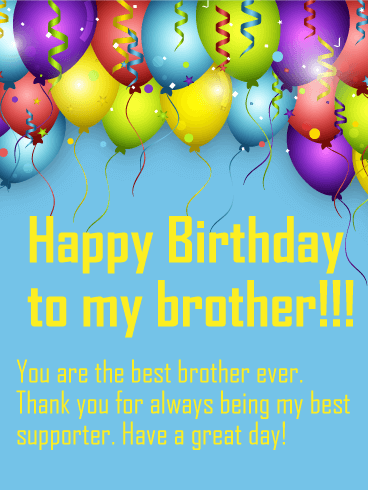 Help your brother have the most amazing birthday by sending him this card! 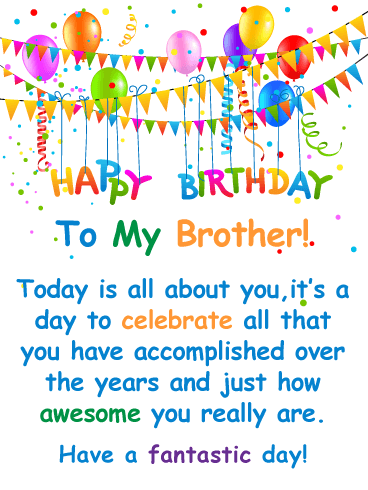 No one has a brother more awesome than yours! 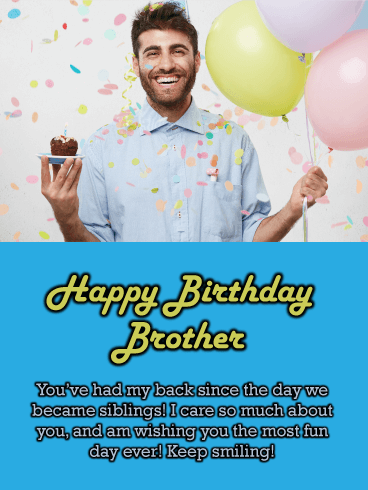 As your brother's birthday approaches, celebrate with a Happy Birthday card! 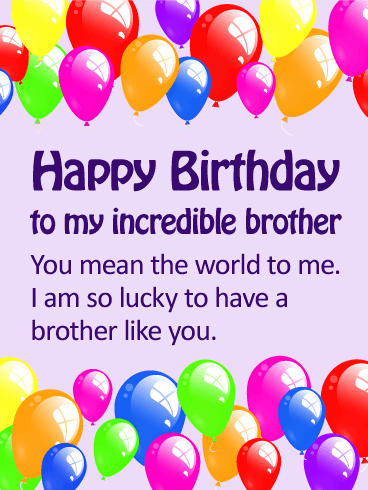 The colors, message, presents, and balloons on this birthday card make it the perfect choice for the world's best brother. 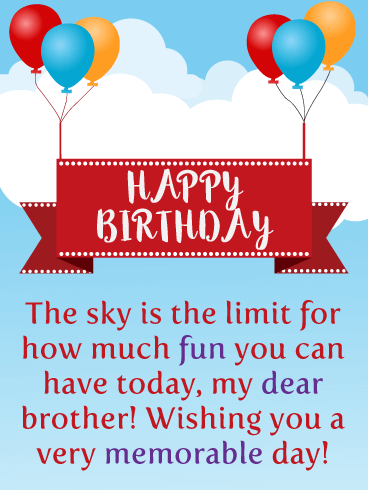 Wish your brother a "Happy Birthday," a day full of fun, and many more years of happiness with this cheery birthday card!